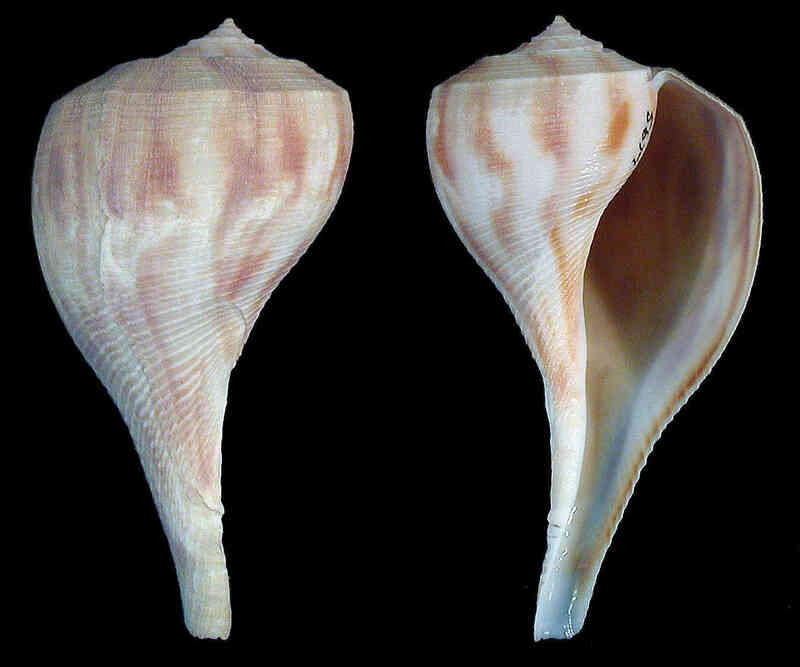 Shell size up to 15 cm; shell with large body whorl. Suture deeply impressed. Broad aperture gently narrowing to become siphonal canal. Specimens from southwest Florida have smooth, rounded shoulder, whereas those from Texas have strongly angled shoulder. Operculum horny. Color cream with axial reddish-brown streaks. 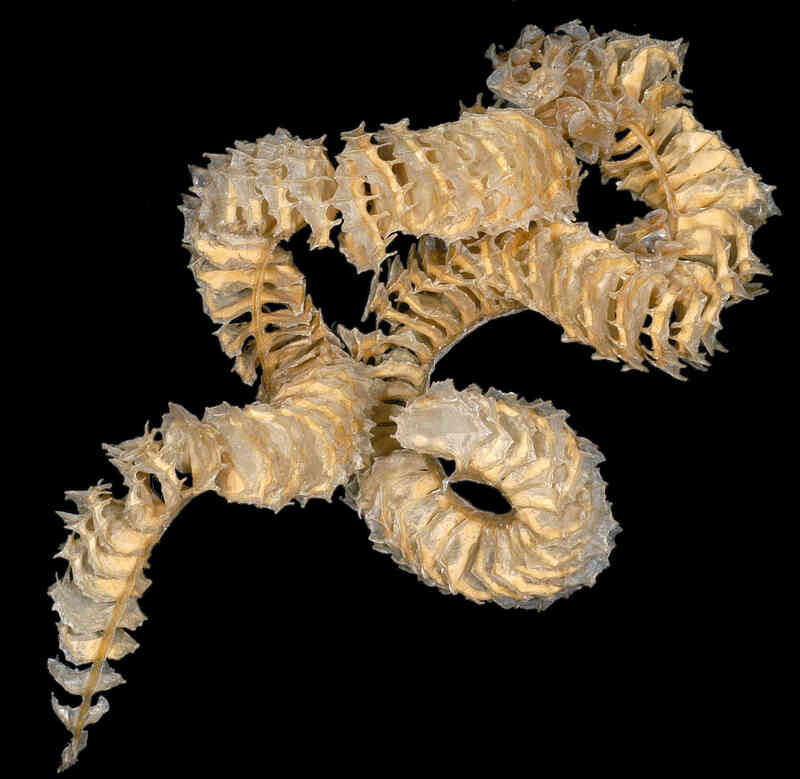 Egg cases resemble those of the Lightning Whelk, but are smaller, thinner, and bear "spikes" around the edges.